Apple Valley Farm is located in the heart of the Rumbling Bald Resort at Lake Lure, NC. A luxury RV park with access to Rumbling Bald amenities. 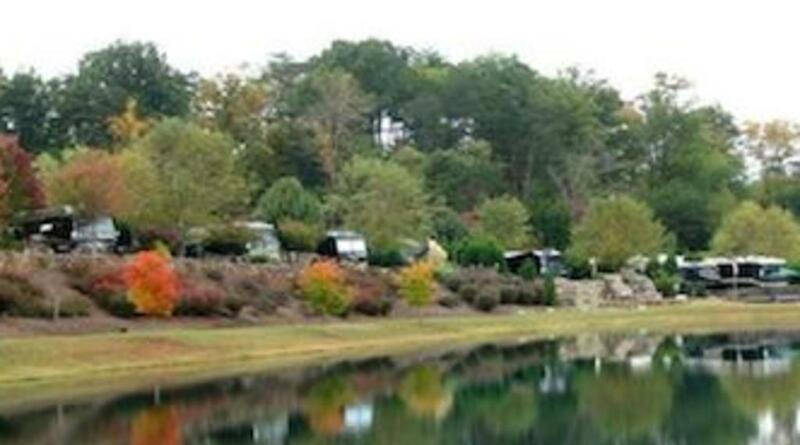 In the middle of the 15 acre park is a beautiful lake with two waterfalls and a working waterwheel. This beautiful place is a ideal for folks wanting a perfect getaway in the North Carolina Mountains. Class A motor coach only.